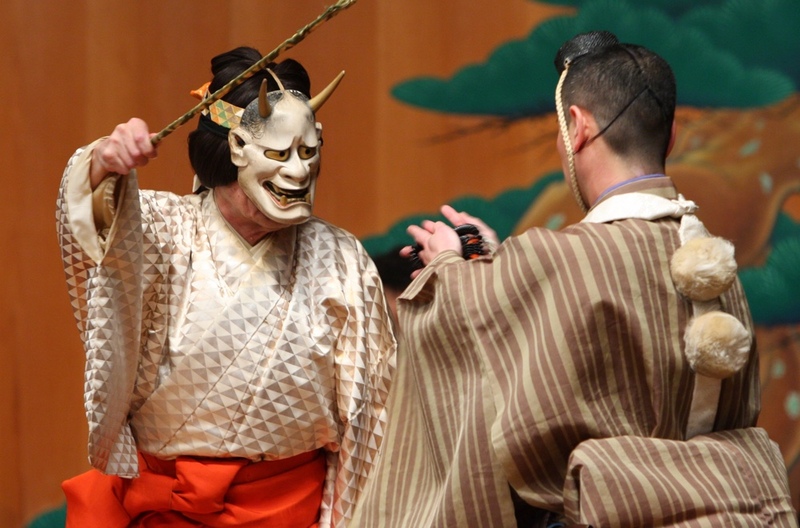 A collective term for Noh and Kyogen.Theatre performance consisted of singing, dancing, occasional percussions and the flute. 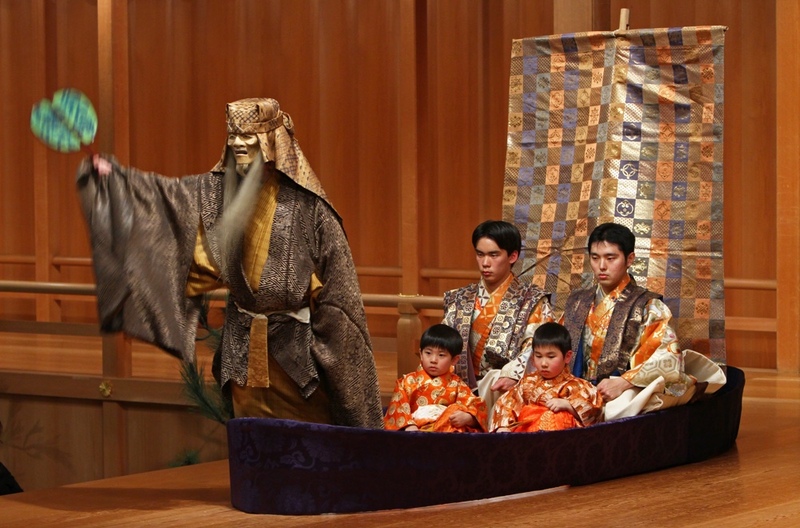 A masque performed on a specifically designed stage, with masks and costumes. The performing arts of the 650-year history, allegedly the longest of the genre, is also known for its highly standardised stylisation: the current “form” of performance we see today has been made little changes to. 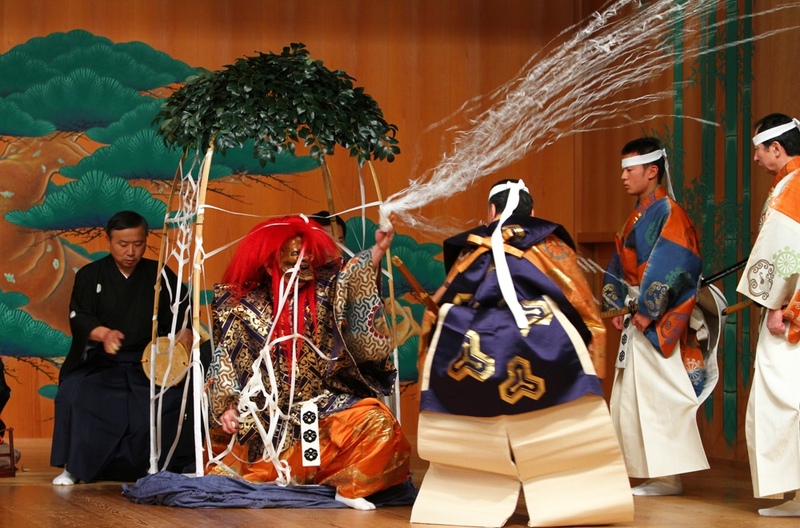 Designated as an important intangible cultural property of Japan in 1957: one of the first recognition of the intangible achievements made globally, which set a precedent to the UNESCO Intangible Cultural Heritage.